An earlier version of this tutorial was written by Mateusz Papiernik. The author selected the Wikimedia Foundation to receive a $200 donation as part of the Write for DOnations program. Caddy is a web server designed around simplicity and security that comes with a number of features that are useful for hosting websites. For example, it can automatically obtain and manage TLS certificates from Let's Encrypt to enable HTTPS, and includes support for HTTP/2. HTTPS is a system for securing traffic between your users and your server, and is quickly becoming a basic expectation of any website running in production — without it, Chrome and Firefox will warn that your website is "Not Secure" if users try to submit login information. Previously, the recommended method for installing Caddy was to download prebuilt binaries from the Caddy project website. However, recent changes in how Caddy's licensing works means that you're no longer allowed to use these prebuilt binaries for commercial purposes unless you pay a license fee, even if you're just using Caddy internally within a business. Luckily, the Caddy source code is still fully open-source and you can build Caddy yourself to avoid running into licensing issues. In this tutorial, you'll build Caddy from source and use it to host a website secured with HTTPS. Then you'll configure Caddy using a Caddyfile, install Caddy plugins, and learn how to upgrade your installation when a new version is released. An Ubuntu 16.04 server configured according to our Initial Server Setup guide. You should be able to connect to the server over SSH, log in as a non-root user with sudo privileges, and have a working firewall set up using UFW. A domain name set up to use DigitalOcean's DNS management. You can buy a domain name from any domain registrar and follow our guide on Pointing a Domain to DigitalOcean Nameservers to manage your DNS through DigitalOcean. An "A" record pointing from your domain to your server and, optionally, an "AAAA" record if you wish to enable IPv6. Our guide on Setting Up a Host Name with DigitalOcean explains how to do this. The Go language toolchain installed on your server. Follow our guide on How to Install Go 1.6 to set up Go. You should also have some understanding of how to compile Go code and how the go command line tool functions. Follow our guide on Building Go Executables to learn about this. go get uses Git to clone the code from GitHub. Git is a version control system, meaning it records a project's state as you make changes and allows you to return to any previous state in the project's history. By default, the go get command downloads the latest version of the source code, but it would be a good idea to use the latest stable release of Caddy rather than the most recent addition to the repository, which will likely be midway between releases. Unreleased versions can have bugs or half-implemented, broken features. The latest stable version, on the other hand, is more likely to compile and run correctly. Whenever a stable version of Caddy is released, the authors will signify this in Git by adding a tag. You can use Git to revert the code to how it was at the time of the last stable release. Find the highest version number in the output; at the time of writing, this is v0.10.12. git checkout -b "adding_plugins" "v0.10.12"
This will revert your version of the Caddy source code back to the last stable version and you will be in a new branch where you can keep your changes to the code. When you update Caddy in the future, you'll merge changes into this new branch. The warning can be ignored for the time being, as we'll resolve it when we set up the various configuration files required by Caddy. Press CTRL+C to exit this command. This file processes any options passed to the Caddy command, and is one of the first things executed when you run Caddy. // Run is Caddy's main() function. With that, you have successfully built Caddy from source. You can remove the added line from $GOPATH/src/github.com/mholt/caddy/caddy/caddymain/run.go if you wish, but if you do so you'll need to recompile the code. In the next step, you'll install Caddy as a service so that it starts automatically at boot, and then adjust its ownership and permissions settings to ensure the server's security. Now that you've verified you're able to build Caddy, it's time to configure a systemd service so that Caddy can be launched automatically on system startup. Systemd is a comprehensive solution for managing processes on Linux. Caddy comes installed with a caddy.service file which systemd can use to manage the Caddy service. This service file makes some assumptions about the environment in which Caddy will run, so there are a few things that you will likely want to change before installing it. Since the Caddy process will not be running as root, Linux will prevent it from binding to ports :80 or :443 (the standard ports for HTTP and HTTPS, respectively), as these are a privileged operations. In order to be viewable on the web, Caddy needs to be bound to one of these ports. Otherwise, users will need to add a specific port number to the server's URL in their browser to view the content it will serve. If you see this same output, then Caddy was correctly detected by systemd. The final step in this installation process, before you write the configuration for Caddy, is to adjust your firewall. You should already be running a firewall using UFW, as prescribed in the initial server setup guide. A firewall is an important tool to protect the security of your server, as it allows you to configure which ports are publicly available for any external party to connect to and those which are protected from access. If there are other processes which expose a port on your server, the firewall prevents these from being accessed, reducing the opportunities for an attacker to compromise vulnerable software. Your installation of Caddy is complete, but at this point it isn't set up to do anything. Next, we'll look at how to take this clean installation of Caddy and configure it to serve a website. In order for your Caddy installation to be used as a functional web server, there are a few settings that need to be changed. As we go through making these changes, we'll consider the syntax of the Caddyfile configuration, explore a couple of configuration scenarios, and serve a placeholder page over HTTP. This will display a heading with the text "This page is being served via Caddy". On the first line, :80 sets the hostname of the server — in Caddy this is called a label. The hostname is the domain name where Caddy will respond to requests. In this case, set it to :80, meaning port :80 of the server. This prevents the server from running over HTTPS for now, since Caddy will try to enable this automatically, but we want to do this via a plugin. By default, Caddy attempts to fetch an SSL certificate from Let's Encrypt by making a resource available over HTTP, like hosting a file. However, if you want to run an internal service using Caddy, you might not want to expose the server to the public internet. Using a plugin allows you to use the Let's Encrypt DNS challenge. This involves Caddy creating a DNS "TXT" record to prove control of the server and allows you to fetch certificates without necessarily having to accept outside HTTP requests. This leaves you more options for how to run Caddy in the future. After :80 is a configuration block, enclosed within curly brackets, in which configurations for the site will go. On the next line, we see the root directive. Directives are the actual configuration options for Caddy, and adding them changes Caddy's behavior when serving the website. Directives can have arguments, which are options for how the directive should take effect. In this case, the root directive has one argument: /var/www. This directive sets the directory where the files Caddy should serve are located. However, directives aren't required to have arguments. For example, you could add the gzip directive without any arguments to compress web pages before they're sent to the client, making them load faster. Directives can be configured with subdirectives that provide additional functionality. These are placed in their own configuration blocks, again using curly braces. For example, although the gzip directive works on its own, we could use the ext subdirective to only compress certain file types, or the level subdirective to control what level of compression will occur (1 being the lowest and 9 being the highest). Caddy has a huge number of different directives for many use cases. For example, the fastcgi directive could be useful for enabling PHP. The markdown directive could be used to automatically convert Markdown files to HTML before serving them, which could be useful for creating a simple blog. Jan 27 11:37:06 caddy-tutorial-testing-0 systemd: Started Caddy HTTP/2 web server. Jan 27 11:37:06 caddy-tutorial-testing-0 caddy: Activating privacy features... done. While Caddy includes a lot of directives by default, it can't cater to every possible use case and you may want to add more functionality to the server. Now that we know Caddy is serving content as expected, we will go over how to extend Caddy's functionality through the use of plugins. Plugins are a way of changing Caddy's behavior. They are generally small snippets of code that we can insert into Caddy to add more directives for specific use cases. The easiest way to understand plugins is to jump straight in and try one out, so we'll install the minify plugin. This plugin removes excess whitespace and redundant code from some files, reducing the size of each one, and again, helping to speed up loading times. Open Caddy's run.go file again. As we said earlier, this is one of the first parts of Caddy to be run, and it's the location where plugins are installed. To install a plugin, add _ "github.com/path/to/plugin" to this import directive. Some plugins may require some slight configuration tweaks, so be sure to read the documentation for whatever ones you install. You can find a list of popular plugins in the left pane of the Caddy documentation, under Plugins. You need to commit your code when you make changes to it so that when you merge in any new updates those changes aren't lost. If you haven't committed code on this server before, you'll need to set a name and email so that Git can identify you in the logs. The git config command lets you set these options, and the --global flag applies them for any repositories you may work on in the future. Unless you push code to a public repository such as GitHub, these details won't be made public. git config --global user.email "sammy@example.com"
git commit -m "Added minify plugin"
Any time you add a new plugin, you have to rebuild Caddy. This is because Go is a compiled programming language, meaning the source code is transformed into machine code before execution. Your change to the import declaration has altered the source code, but won't affect the binary until it's compiled. If Caddy was built successfully, this command will exit with no output. Copy the generated binary to /usr/local/bin and set up permissions for the binary like you did previously — you must take these steps every time you rebuild Caddy to ensure its functionality and security. To demonstrate that the plugin was successfully installed, open your Caddyfile. Caddy is now running and will minify any files that it serves, including the index.html file you created earlier. You can observe the 'minification' at work using cURL, a command line tool for making web requests. Running curl with no options or flags will fetch the content of a web page and display it in the terminal. Run the following command to request the index.html file from Caddy, replacing example.com with your domain. You'll see the following output. Notice that all unnecessary space has been removed, showing that the minify plugin has worked. This same installation method will work for other Caddy plugins. You'll get some more practice with adding plugins by installing the tls.dns.digitalocean plugin to automatically enable secured HTTPS traffic. Caddy enables HTTPS by default using Let's Encrypt, which is useful as it's easy to get the details of HTTPS wrong. Caddy's approach to HTTPS is secure and doesn't force you to delve deep into the configuration to encrypt your traffic. However, Caddy defaults to the HTTP-01 method for verifying with Let's Encrypt that you actually own your domain. This method involves posting a special file (containing a response to a challenge sent by Let's Encrypt) to a specific location on the website. While this method works, it requires that your website be publicly accessible. This can be an issue with certain firewall configurations or if you're running Caddy as an internal service for your business. 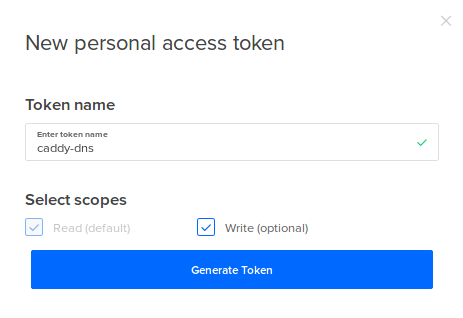 As an alternative, you can install the tls.dns.digitalocean Caddy plugin, which will use the DNS-01 verification method instead. This plugin authenticates with Let's Encrypt by adding a new "TXT" DNS record for your domain which won't affect how your website functions. 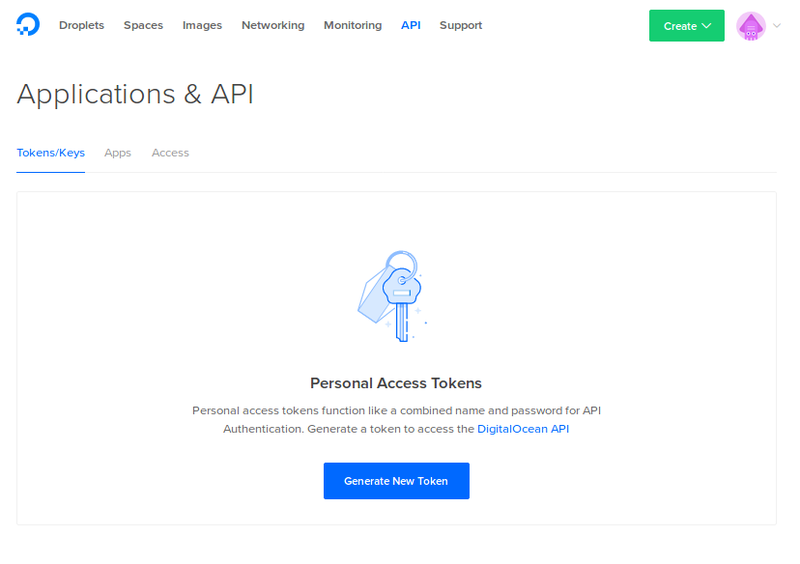 It uses DigitalOcean's API for controlling DNS which gives you the flexibility to fetch a certificate even if your server isn't publicly accessible. For more information on the different types of DNS records, read our Introduction to DigitalOcean DNS. git commit -m "Add DigitalOcean DNS provider"
This will produce an output similar to the following. Pay close attention to the line beginning Loaded:. The loaded status indicates that your changes to the service configuration were successful. If an error occurs when configuring a systemd service, this line will instead display an error status along with an explanation why systemd couldn't interpret the service file. The next line, beginning Active: states whether or not the service is running. Because you stopped Caddy earlier in this step, this displays inactive. When Caddy is run, this will show enabled or running. If you browse to your domain, you should be automatically redirected to HTTPS. Your installation of Caddy is complete and secured. Next, we'll look at how to update Caddy when a new version is released. When you install software using a package manager, updating it is generally as simple as running a single command and oftentimes the operating system can often install security updates automatically. However, since you've built Caddy from source, the process is a bit more involved; you'll need to rebuild Caddy from an updated version of the source code, then set it up again. Keeping software updated is an important security practice, since outdated software often has vulnerabilities. Running the latest version of Caddy will protect you from having your server's security compromised via any vulnerabilities that might exist in an older version. In this step, we'll look at how to update your installation of Caddy when a new version comes out. This step should only be followed if a new release of Caddy is pushed to the Caddy GitHub repository. An editor will appear which you can save and close to complete the merge. However, there is a possibility that merge conflicts could occur where Git is unable to work out how the two different versions of the code should fit together. Git will notify you if this occurs, and you will need to manually edit the conflicting files then commit to resolve the conflict. Caddy will continue to start up at boot in the future, as it hasn't been disabled. With that, Caddy has been successfully updated to the latest version and should continue to work without interruption, at least until the next release. By following this tutorial, you have successfully deployed a website using Caddy. A good next step would be to find a way of being notified when new versions of Caddy are released. For example, you could use the Atom feed for Caddy releases, or a dedicated service such as Sibbell. Creating a script to automate the process of updating the server would also be a good idea — you could even combine the two and create a build tool that automatically rebuilds Caddy when there's a new release. Otherwise, you can explore Caddy's documentation and discover how best to customize it to suit your needs.